Just before Anne Wolfe faced one of the toughest times in her life, everything fell into place. An unanticipated move to Bowling Green, Kentucky, put her closer to Vanderbilt — and the treatment that saved her life. Anne Wolfe asked the doctor to spell it out. She had come to see Kamran Idrees, M.D., a surgical oncologist at Vanderbilt-Ingram Cancer Center knowing that she had a malignancy in her liver, but she didn’t know the type of cancer that had secretly invaded the organ. “He looked at me and said, ‘You have cholangiocarcinoma,’ and I said, ‘Spell that for me, please,’” Anne said. Idrees not only spelled it, but also wrote it out. He then carefully explained, step-by-step, what lay ahead. She learned she had a rare cancer that had started in the bile duct of her liver. The teaching moment was one that was familiar to Anne, who had retired from a 33-year career in education. A Kentucky kindergarten teacher, she was accustomed to spending time exploring the unknown with beginner learners. Now she was the novice and eager to discover answers. She had come to Vanderbilt University Medical Center seeking information in the fall of 2015, about two weeks after having her gallbladder removed at another hospital. A biopsy had revealed the malignancy. Anne’s first symptoms began in February 2015. What felt like a pulled muscle in her side when she went to bed at night slowly evolved into stomach issues and pain when she ate. An ultrasound detected something doctors believed to be a hemangioma, a non-cancerous growth found on the skin and organs. It forms due to abnormal collection of blood vessels. Surgery to remove her gallbladder was suggested, but Anne put it off. It wasn’t until the pain became unbearable months later that she scheduled the gallbladder surgery. The hospital sent a biopsy of the mass to Vanderbilt. A lot had happened since Anne’s first ultrasound revealed the mass. As she looks back, she said all the events leading up to her meeting Idrees were for a reason. Everything fell into place. READ MORE: BOLSTERING LIVER TUMOR RESEARCH. For most of her life, Anne lived in Breckinridge County, about 65 miles southwest of Louisville, Kentucky. She and her husband David worked in the school system and raised their son there. It was a quirk of fate—actually an impulse decision—that would bring her closer to Nashville and Vanderbilt-Ingram Cancer Center, where she could receive the highly specialized care required for her rare cancer. “It’s odd,” Anne said. “One day we went out to the country to buy watermelons and we came back with a house. It’s crazy, but I know that if we had not moved to Bowling Green when we did, we would have never gone to Vanderbilt. On Oct. 2, 2015—11 days before learning about the cancer—the Wolfes closed on their new home in Bowling Green, Kentucky. 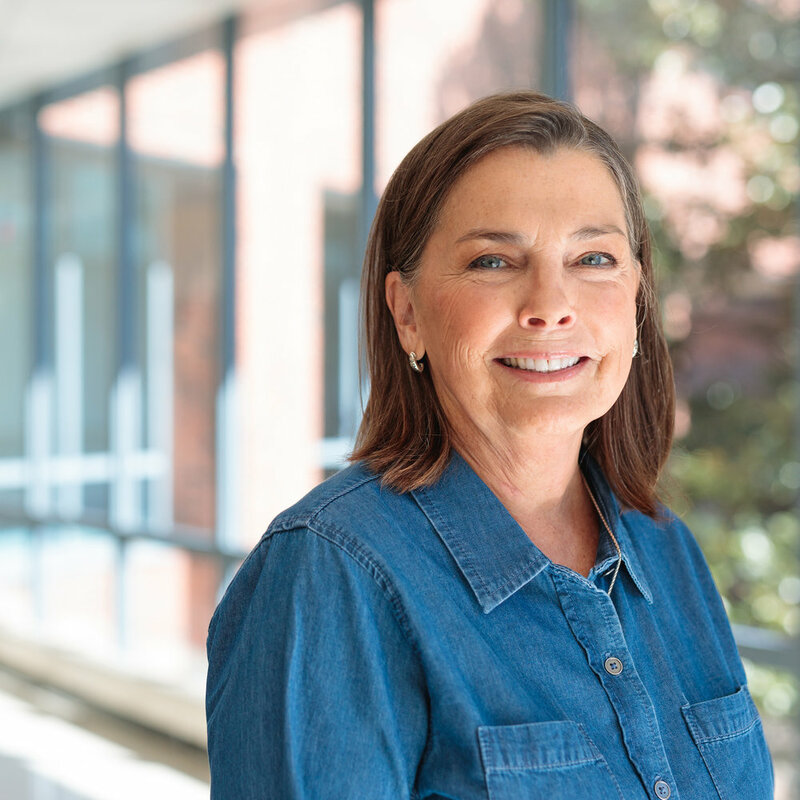 Their new location put them within an hour’s drive of Vanderbilt-Ingram Cancer Center, one of the top centers in the nation for the surgical procedure she would undergo. 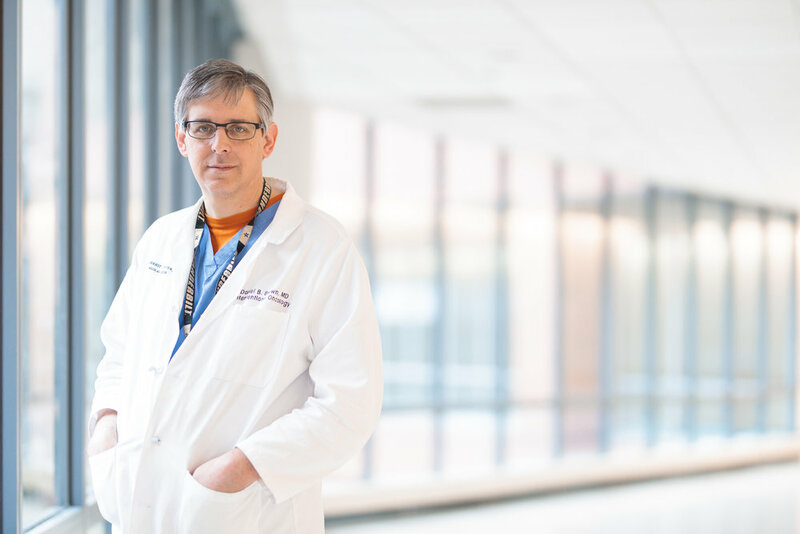 Whenever there is a tumor in the liver, one of the first questions the experts ask themselves is whether it’s primary, originating within the liver, or a secondary tumor, meaning the cancer has spread or metastasized to the liver. In Anne’s case, once it was discovered that the tumor was indeed a primary cancer, the next step was determining if the origin was within the liver cells or the bile ducts. Cholangiocarcinoma is a rare bile duct cancer that typically goes unnoticed until it reaches advanced stages. Surgery is potentially curative if the tumor can be removed completely and if the disease has not spread. According to Idrees, surgical treatment is not always clear cut. Anne’s cancer involved most of her liver so he had to figure out a way to remove the entire tumor while leaving enough liver behind so she would not go into liver failure. He and a team of colleagues came up with a plan for blocking blood flow and nutrients from getting to the diseased portion of her liver, which set the stage for the smaller healthy portion to regenerate. “When she originally presented, the tumor was involving the right side of the liver,” Idrees said. “It comprised nearly 70 percent of the organ. The fascinating thing about the liver is—it is the only solid organ that is able to regenerate. Idrees said it is feasible to live off of 20 percent of the liver, as long as that portion of the organ is completely normal. The issue arises with the functionality of the remaining portion of the liver. If it does not kick in, the patient is at risk for liver failure. Idrees asked for help from Daniel B. Brown, M.D., director of Interventional Oncology at Vanderbilt-Ingram Cancer Center. "I knew I was in the right place." Brown’s team created a 3-D model of Anne’s liver to calculate the total liver volume that would remain after surgery. That introduced another option that allowed Idrees to move forward with surgical resection—radioembolization with Yttrium-90 (90Y). Radioembolization is a minimally invasive procedure that combines radiation therapy and the ability to block blood vessels to prevent blood flow and growth of the cancer cells in the liver. “This technique served two purposes,” said Brown. “We were able to treat the tumor in the right side of the liver by infusing tiny beads with embedded radioactive isotope 90Y inside the blood vessels feeding the tumor. This actually kept the tumor in check. It also blocked the blood supply to that portion of the liver, which in turn allowed the left side of the liver to grow in response. Anne believes she couldn’t have been in a better place. Anne’s surgery was Feb. 8, 2016, though her cancer journey is not over. While in remission, she returns for scheduled CT scans every six months. She’s grateful that her most recent CT scan was clear. Anne stays busy with her favorite pastimes, traveling with her husband, visiting her son, scrapbooking and gardening. “I know the cancer can come back,” Anne said. “Having my gallbladder removed actually saved my life. I would have gone several more months until I was in too much pain, and it could have gotten out of hand and there may have been nothing they could have done.